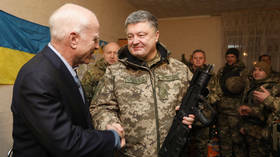 The Ukrainian capital of Kiev is to get its own ‘John McCain Street,’ in honor of the late US Senator whose regime-change cheerleading helped sweep President Petro Poroshenko to power in 2014. It’s not an April Fools’ joke: Kiev is really getting a ‘John McCain Street.’ Although President Poroshenko has mused renaming the Ukrainian capital’s Ivan Kudrya Street in honor of the Republican Senator before, he once again announced his plan after meeting with McCain’s widow, Cindy, over the weekend. 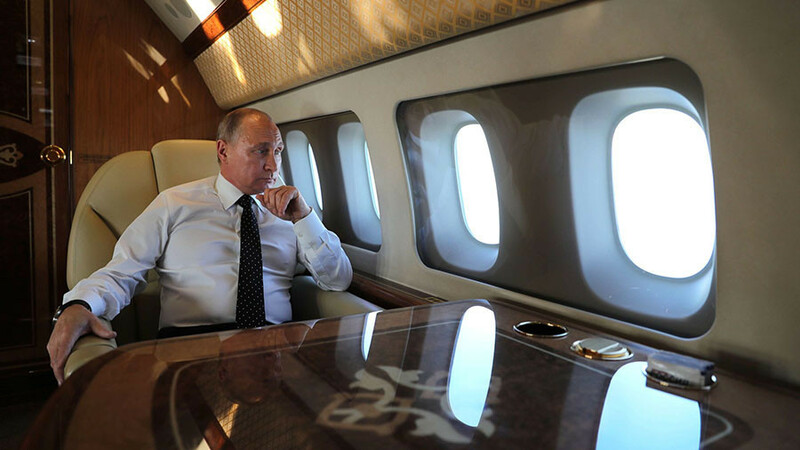 McCain said he aimed to “bring about a peaceful transition” of power in Ukraine, yet back in Washington the Arizona lawmaker decided that the best way to do this was to relentlessly lobby presidents Obama and then Trump to send more weapons to the country. To Russians, however, Kudrya was a wartime hero who led the Kiev resistance’s fight against the Nazis during World War II. As a Soviet intelligence officer, Kudrya sabotaged Nazi infrastructure and assassinated German soldiers, until he was caught, tortured, and killed by the Gestapo in 1942.